Don't miss your chance to hear from industry leaders! Our annual conference will be held on April 10, 2019 at TCU Place in Saskatoon. If you are a construction business owner or leader in the industry, you don't want to miss this day! 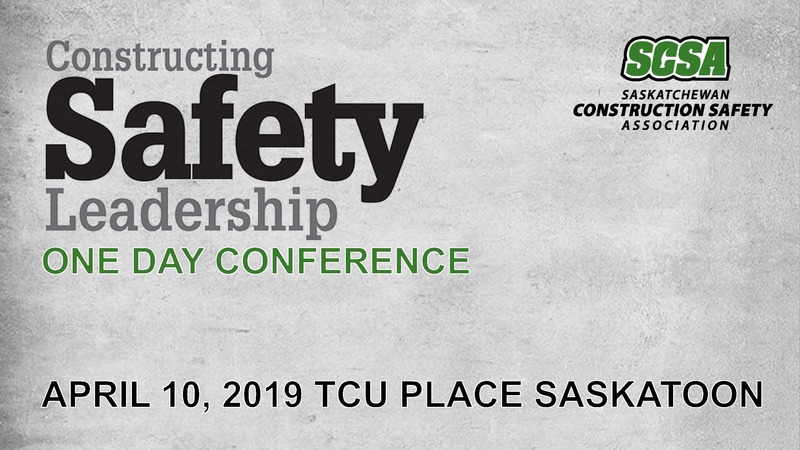 The conference features two industry panels, one on Safety in Procurement and one on General Contracting; and expert speakers on topics like Construction Law, Financial Services, Labour Supply, Safe Working Culture. The SCSA Regional Safety Committees (RSCs) are responsible for promoting safety in the construction industry and advancing the objectives of the SCSA at a regional level. They are active in identifying regional and trade-specific health and safety training needs, as well as developing solutions to safety problems in the construction industry, particularly at a local level. The committees are comprised of representatives from construction and trade associations along with worker members to provide a communication link between member employers and the SCSA’s Board of Directors. RSCs operate in the following communities: North Battleford, Regina, Moose Jaw, Swift Current, Saskatoon, Prince Albert, Yorkton, Esterhazy, Estevan, and Lloydminster.